Acute Care Must Change, It’s Not Working! My last post ended with the stand-off concerning meds. so here we go for the rest of the saga. The medications were given….but by this time true, major delirium had set in. For those who are unfamiliar with delirium, it is sort of temporary SUPER dementia or confusion that often happens in the elderly when they are ill (as I have said, Mother always develops a bit of delirium when she has a Urinary Tract Infection. After a day or so of antibiotics it clears up. ) It is also common in the hospital setting, as the patient has usually suffered some sort of “trauma”, an illness, or surgery. Due to that stress, the bright lights, new noises, unfamiliar atmosphere, delirium can set in. Many hospitals have adopted policies to try to prevent or at least diminish the severity of delirium, as it can increase the length of stay, delay positive outcomes and often will result in a return to the hospital after discharge. Mother had been muttering nonsense, thrashing a bit, picking at the bedclothes and at the wires to which she is attached, and her IV. All night one of us slept or rather dozed in the chair beside her trying to hold her hands and calm her. Daylight came and the “team” of doctors came in: one attending physician and a myriad of students, some looked like kids. The plan is apparently to check mother from top to bottom, another CT Scan even though she had one in the ER, another EKG, an Echo of her heart , and frankly I can’t remember what else. It was noted her hemoglobin was low, most likely from internal bleeding in the arm. I learned from the Orthopedic Surgeon that bones technically can “bleed” so to speak and some tiny veins may have been torn when the break occurred. So, she sort of has internal bleeding in the shoulder and arm. He assured me it would take care of itself. Her orthopedic surgeon has arrived and we discussed our options. He feels that surgery is not our best option. If she were younger maybe, but he assured me he has seen many individuals of mother’s age, with the same injury and it can heal on its own. She will not be able to throw a fast ball, nor reach high over her head. (She can’t do that NOW!!) He will order a shoulder stabilizer contraption but we won’t put it on until the delirium is under control. Otherwise Mother will just wiggle and fight with it. As the day progressed, I asked a couple of times about the urine sample that was to be taken. Each time I was told it would happen but after….something else. We were told it was time to go down for a CT scan. As we left, I asked about the urine test. The nurse said she would take it as soon as we return. I am sure that delirium will clear up a bit, if we could only get her on an antibiotic. Two young men arrived to take her down and I was going accompany her. Let’s remember Mother is delirious, doesn’t know where she is, or why she is here. She has not slept since we arrived yesterday at about noon. So, off we went down the hall with our two chauffeurs pushing the bed at quite a clip. I walk fast, and I was having trouble keeping up. The guy pushing the bed would loudly direct the guy at the other end who was walking backwards. “WATCH OUT ON YOUR LEFT”…and then “PEDESTRIAN ON THE RIGHT”. Good grief, this was like a New York City cab ride!! We went down the elevator and as we got off, the “guys” see someone they know. “HEY YA!! How’s it goin”?” they literally shouted, and I watched my mother startle. The nurse walked away in a huff. My sister gave me a thumbs up. The nurse came back shortly to take the urine. An hour or so passed and the Attending Physician from the ER, the one that said Mother’s white cell count was high which indicated some infection arrived just to check on Mother. In the ER I had then told him about the UTI, the delirium it always causes, which may have even caused her to be up and walking around her room when she fell. She knows she is not to get up unassisted. He agreed that was probably the case but said he would order a urine test to be sure. Yep, 24 hours or so ago. Frankly, he was visibly shocked. This thrashing delirious woman was the same woman he saw sitting up in the ER telling him she needed to get home – they had made her wait in this place too long. This is the same woman who knew Obama was President when we arrived. We shared a bit about the day…and the urine test delay. He IMMEDIATELY ordered an antibiotic. Thank you, kind sir. Whew, a long night ahead and at midnight we were told that Mother was going to get two units of blood to stop that Hemoglobin drop. That procedure kept us up…and at about three in the morning she finally received the dose of antibiotic through her IV. Then the IV began to leak, and as they were attempting to adjust it, bam, that vein blew! Ooops. So no more IV, they would have to do a “pick line”. Now let’s fast forward two more days. My sister and I had been here the entire time. We have taken turns running up to my house to shower and change clothes. The good news is, we finally were moved to a private room so we have a bit more room and a bit more quiet and privacy. Mother did have a UTI ( SHOCK!!) and we are seeing a bit of improvement now that she is on an antibiotic. Finally the staff attempted to put on the shoulder stabilizer. Admittedly this is not the Ortho floor. We are in the “heart” area…and as par for the course, this thing came with no instructions. Finally, they asked another nurse to come in, whose son had a football injury and had used one. She said this one didn’t look like his. After a bit, and with six of us working on it, we got the darn thing on. Things continued to look up. Now Mother was making sense and eating a bit. The good news is, I am feeding her, as she is right-handed and yep, it was the right shoulder that was injured. She says “stop”, but I can just keep slowly shoving in the food and the nutrition shake!! And she can now use the bedside potty. No more bed pan. Midnight comes and oh my….delirium is coming back. No fidgeting but constant muttering, questions that make no sense, more muttering. My sister and I looked at each other and just sighed. At six, a resident came in and said she thinks Mother will be discharged today. What?? The delirium is back…she will still be discharged? The resident says she feels that staying here longer will simply increase the delirium. She said the hospital social worker had been working all day yesterday on Mother’s discharge. Oh, really ?? No one spoke to either my sister or me about it. She then questioned the shoulder stabilizer and said she didn’t think it was put on correctly. I asked if she could redo it, and she said she did not know how, but it does not look right to her. Well, there you go. I then asked the nurse about the social worker. She says that is “George” and he should be in about 8:00 a.m. and I asked that she tell him we would like to see him. And then wonder of wonders who should appear??? Our sweet, handsome, answer to my prayer, ORTHOPEDIC SURGEON!!!! He took one look at that sling and said “that won’t work”. He took it apart and said it was not really the kind he likes to use. Then he asked if we still have the one we bought at the drug store. I pulled it out of the drawer and he commenced to use that one and parts of the new one and fashioned a device that does what he needed it to do. Voila!! I asked him about his impression of Mother this morning and he indicated she didn’t look to him like she should be going home. I thanked him for showing up and helping us. I really do love him. He is a sweet boy. Yes, I am old enough to be his mother. In fact, he is married to a friend of my daughter’s! I said” Thanks I appreciate that. But George, in my opinion you should always consult with the family members who are present. A face to face conversation is always better than just reading the chart. And in my opinion, if you call yourself coordinating care, then that coordination should include the family members. Good grief. Yes, I have to say it again,” DUH”. Now let me explain about hospital stays, nursing home placement and Medicare. First, in order for Medicare to pay for a nursing home stay, the person must have been in the hospital for three days. Then a PAS form must be filled out, signed by a doctor and then it is determined if the person really does need to be in a nursing home. My sister, the Physical Therapy girls and one of the doctors and I had been discussing whether Mother should go to a SNF, ( skilled nursing facility) to continue her recuperation and receive therapy. We had done this after Mother’s second hip break. She HATED IT. More of a hospital-like setting, more new faces, etc. Our other option was to hire additional caregivers and to have Mother go back to the assisted living ( yep, with the sleepy night nurse. She had been properly reprimanded we were told.) There is physical therapy, ( PT) at the assisted living. The hospital PT girls said that many times, recuperation is enhanced when the patient goes back to the place that is most familiar. I had already started the process to hire additional caregivers and I had spoken to the assisted living administration. I did want to cover all my bases. One has 30 days after a PAS is completed, to actually then go to the SNF. I sped down the hall and said to George, “ We want to cover all our bases if she is discharged today. So can we go ahead and get a PAS filled out, so just in case going back to the assisted living doesn’t work out as we have planned.”. Thank you Lord, your second answer to prayer today. Now, I have to add one more story. It just is too good not to be shared. I said, “Well, I can’t get the WIFI to work so it may have not done you any good to have your laptop.” And that opened the door for her to begin telling me way more than I needed or wanted to hear. And she said “Oh, honey I know, I already had to have a stint.” And off she went to smoke. So there you have it – health “care” today. I use that term, “care” loosely. I fear that our system now is to “fix” an injury, or cure an illness, meet the bottom line and when we can, make a profit…but actual “care” seems to be missing. Where is the pride in doing a job well done? Where is the “customer service” attitude? And why shouldn’t there be a customer service attitude? Is it that the medical and “care” community feel that we, as consumers, have no choices so it doesn’t matter? Have our litigious habits caused medical staff to be afraid to be “nice”? Are we so consumed with our electronic records and forms and lists that nurses have no time to be attentive? Or has common sense just gone out the window? Does the CEO ever just walk through the hospital to see those bloody cotton balls? Does he ever walk in to a room and ask the family how things are going?? Does he ever pop in at 4:00 a.m. just to see what is happening? All I know is it SEEMS that being in a hospital can make you sicker or even kill you. And if you are an older person, or have a dementia, or God forbid, don’t have anyone to advocate for you, then you may be doomed to have a poor outcome. 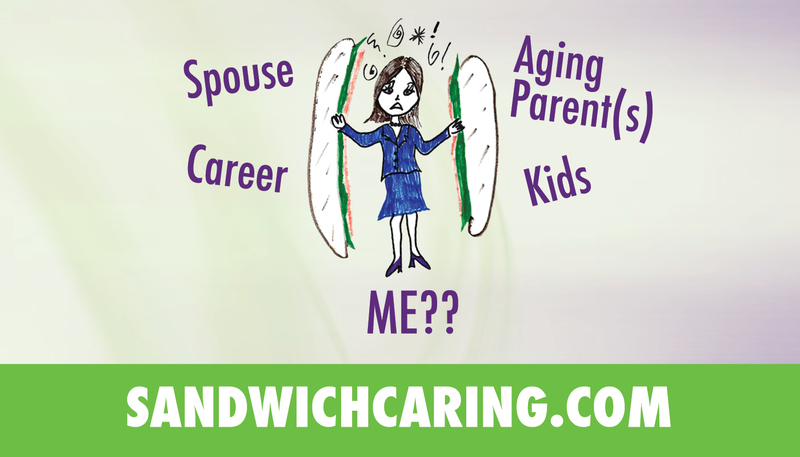 This entry was posted in caregiving, life challenges, parents, planning for the future, sandwichcaring, Uncategorized on March 24, 2014 by janestory.